Soft drink giant PepsiCo has shot down reports that it plans to advertise in low Earth orbit (LEO), after reports surfaced last week in Futurism that the company was working on a “space billboard.” Using a small fleet of satellites armed with reflective mylar sails, the company was reportedly going to advertise a new drink called Adrenaline Rush, targeted to a “stereotyped” minority—gamers. Enter Russian company StartRocket, which has proposed using CubeSats—satellites that measure 4-inches-by-4-inches-by-4-inches—to create orbital billboards that would be visible all over the planet. The tiny satellites would be ferried into LEO via a rocket, and their solar panels and large mylar sails would unfold after the satellites were ejected from the main vessel. The CubeSats would then arrange themselves to form an image or message, and the “billboard” would be visible at dawn or dusk as they reflected sunlight. Although costs have been dropping and the same basic principles that StartRocket wants to build off of have been used for artistic purposes, no form of space-based advertising has ever been successfully deployed before. If the company can make its CubeSat system work, its floating advertisements would circle the Earth from approximately 250-to-310 miles away and would have a viewable surface area of about 19 square miles. On April 13, it seemed that Pepsi was going to be the first soda in space. A Russian PepsiCo spokesperson, Olga Mangova, told Futurism that the company had partnered with StartRocket and was working to create the advertising campaign of the future. Then, Pepsico made an abrupt about-face. “We can confirm StartRocket performed an exploratory test for stratosphere advertisements using the Adrenaline GameChangers logo,” a PepsiCo spokesperson told SpaceNews. “This was a one-time event; we have no further plans to test or commercially use this technology at this time.” However, as Futurism points out, this was likely an attempt by PepisCo to deflect criticism after the company came under heavy fire on social media over the proposal. A PepsiCo spokesperson "clarified" that there had been a translation error between the media and the company's Russian employees, and that they had been referring to a high-altitude balloon test earlier in April, not a future campaign. 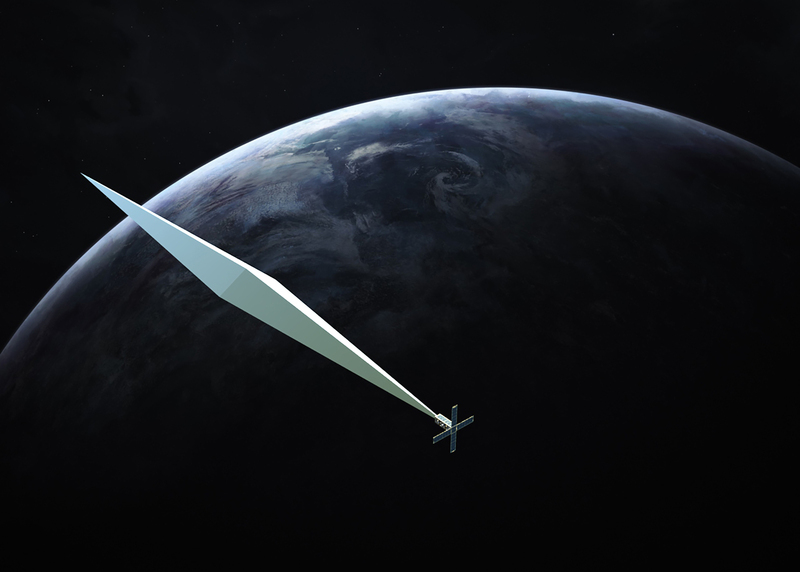 That wouldn't make sense, as Futurism had originally queried them over their future plans, and Mangova confirmed that they would be using an "orbital billboard"—distinctly different from a balloon. StartRocket were similarly unable to provide updated information on any ongoing, or past, PepsiCo collaborations. 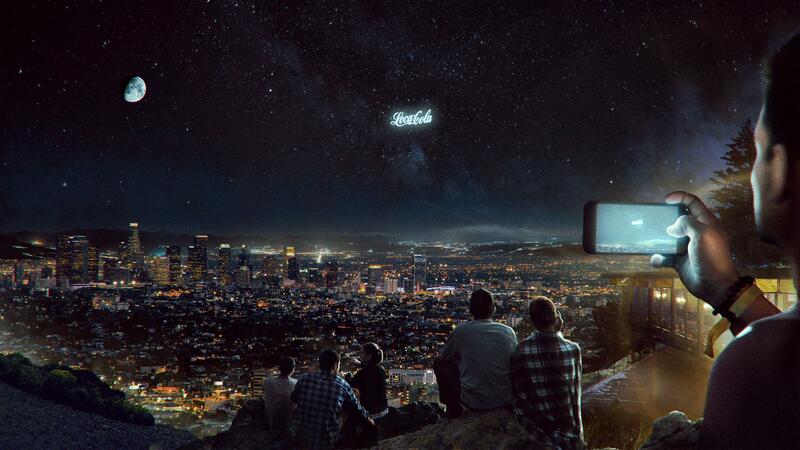 While no laws prohibit advertising in space in such a way that would be visible from Earth, it’s likely any real attempt to create an unavoidable billboard in the night sky would be met with pushback. Still, if it becomes cheap enough, the night sky could one day become home to airborne advertisements (but asteroid-anchored condo towers remain unlikely). 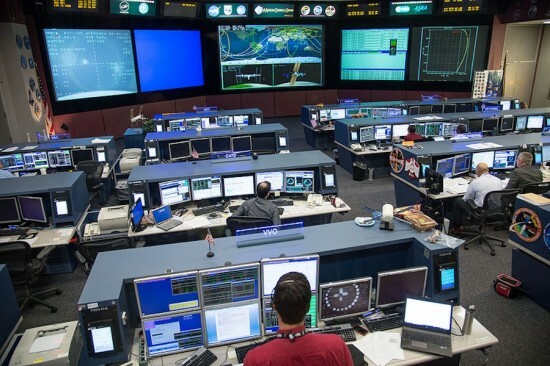 A division of the United States Air Force known as CSpOC (Combined Space Operations Center) is faced with the task of properly identifying each of those satellites so that they can be tracked as they orbit the earth. Six weeks post-launch, that task is still not complete; only half of the satellites from the launch have been properly identified. Many of the satellites that launched together remain in a cluster and until they separate it is difficult to correctly identify each one. Prior to the holidays, we had been working very closely with the FCC (Federal Communications Commission) and other relevant space-related authorities to deploy the balloon at the right time for a safe trajectory. The FCC had asked us to wait for their go-ahead before we deploy the balloon. Since the government shutdown began, communication with the FCC has been suspended, as they are not operational at this time. When the tracking information for Orbital Reflector becomes available, terrestrial art patrons can track the installation via the Star Walk 2 app. The sky-high conceptual piece was supposed to orbit the Earth for two months, completing a rotation around the planet every 94 minutes. It remains to be seen whether the time spent in limbo will eat into that period, or if the satellite will be able to deploy before the orbit of the SpaceX rocket it’s attached to begins to decay. New York–based firm Clouds Architecture Office has designed a suspended research facility for AVATAR X, a partnership between ANA Holdings Inc. and Japan Aerospace Exploration Agency (JAXA), the Japanese space agency, developing space-exploring robots. 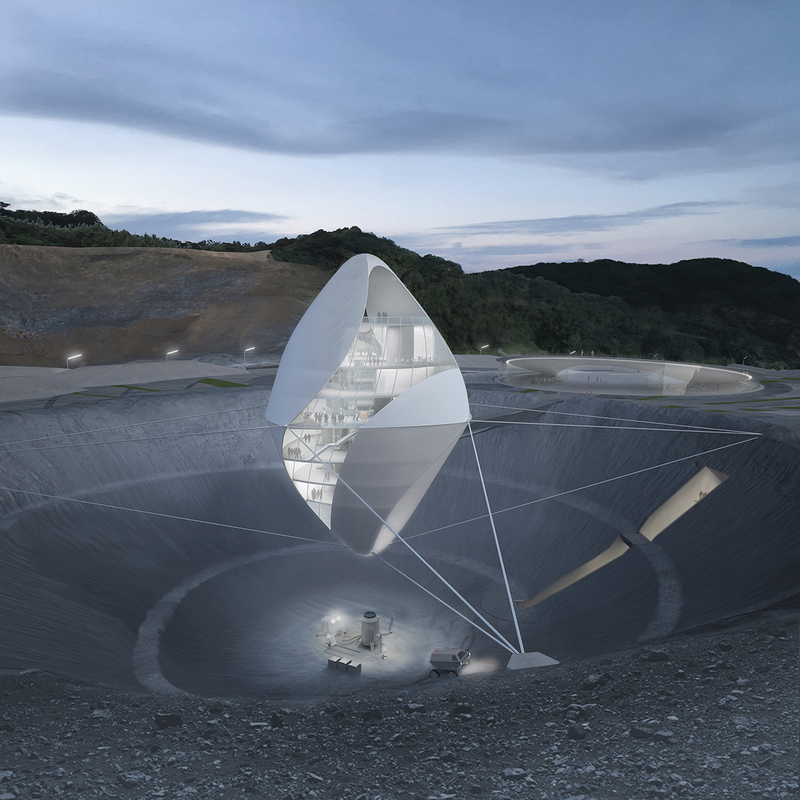 The levitating building will be at the center of the AVATAR X Lab Oita campus, which will host office and laboratory space for various tech companies invited to participate in the partnership's research, along with a lunar-like landscape for testing remotely-operated vehicles. AVATAR X is focused on developing avatars, specialized robots that humans can direct and manipulate from a remote location, thereby obviating the need for humans to go to space themselves. The floating lab structure will stand nearly 60 feet above the bottom of an artificial crater at the center of the campus. A series of other buildings will complete the campus in Oita prefecture, Kyushu, Japan. Forget all about skyscrapers hung from orbiting asteroids, the next big trend in astronomic real estate may be in space stations. Developer Orion Span has revealed Aurora Station, a luxury space hotel that will house guests 200 miles above the Earth’s surface come 2022. First announced at the Space 2.0 Summit in San Jose, California, on April 5, Aurora Station is laying claim to the world’s first fully-modular space station. While Aurora’s first capsule will only be 43.5 feet long and 14 feet across, renderings show the station branching out as extensions are added. ﻿ “We developed Aurora Station to provide a turnkey destination in space. Upon launch, Aurora Station goes into service immediately, bringing travelers into space quicker and at a lower price point than ever seen before, while still providing an unforgettable experience,” said chief executive officer and founder of Orion Span, Frank Bunger, in a press release. “Orion Span has additionally taken what was historically a 24-month training regimen to prepare travelers to visit a space station and streamlined it to three months, at a fraction of the cost. Our goal is to make space accessible to all, by continuing to drive greater value at lower cost.” The aforementioned three-month training certification, the Orion Span Astronaut Certification (OSAC), is completed in three parts; the first online, the second at Orion Span’s state-of-the-art training facility in Houston, Texas, and the third on Aurora Station itself. While rocket launches have become exponentially cheaper in recent years thanks to private competition, guests will still pay a premium for their zero-gravity stay aboard Aurora Station. A 12-day trip will cost $9.5 million per person, or nearly $800,000 per day, with a refundable $80,000 deposit. According to Orion Span, the first four months of reservations have already sold out in the three days since the station was revealed. The initial Aurora Station capsule would fit six astronauts in a 35-foot-by-14-foot living space, two of whom would be trained crew. Once onboard, guests could watch the sun rise and set as the station rotated around the Earth every 90 minutes, grow food, and use a VR setup that Orion Span has dubbed a “holodeck”. While space tourism is nothing new (Russia is aiming to attach a luxury hotel to the International Space Station by 2022), it remains to be seen how much of Orion Span’s plan will be realized. As Bloomberg notes, the company hasn’t released its funding goals or contracted a launch provider yet, and the four-year window is an ambitious one for building a space station. 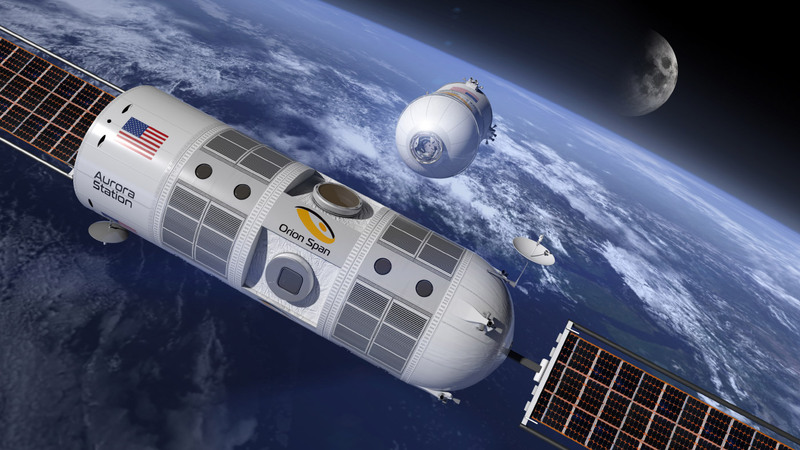 Still, if Aurora gets into Low Earth Orbit in 2021 and begins accepting guests in 2022, Orion Span plans to branch out into space condos and may sell attachable capsules for those looking to claim a slice of space life. This is an excerpt from a forthcoming book, Space Settlements, about the architectural, historical, social, and science-fictional contexts surrounding NASA’s efforts to design large-scale human habitats in orbit during the 1970s. Space Settlements will be published by Columbia Books on Architecture and the City in fall 2018. 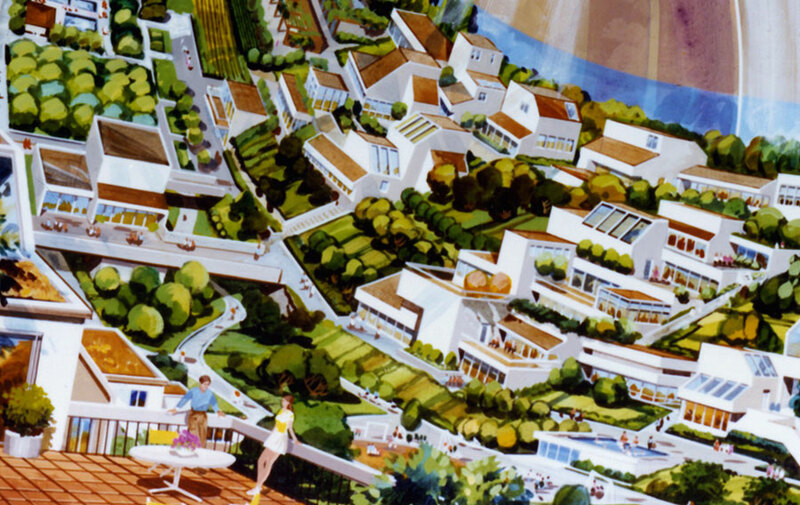 In 1975, Big Science and the counterculture teamed up with two illustrators to design the cities of the future. But, unlike the communes and megastructures that we’re familiar with from the speculative architecture of that era, these would not be located on Earth. Stewart Brand, the publisher of the Whole Earth Catalog, and engineers at the NASA Ames Research Center both supported a project—first proposed by Princeton physicist Gerard O’Neill—to build huge habitats in orbit that would house millions of people. At a Summer Study conference in what was even then known as Silicon Valley, NASA and O’Neill hired painters Don Davis and Rick Guidice to create renderings of these new worlds. Most previous plans for space stations had consisted of a disconnected series of capsules or chambers. The Summer Study habitats were large enough that they were effectively new ground surfaces, spun for artificial gravity, on which any kind of city or landscape could be constructed. NASA’s team architect Patrick Hill—of Cal Poly, San Luis Obispo—specified that, in order to achieve maximum efficiency and space-saving, the buildings inside should be made from systems of prefabricated parts that could be assembled quickly, offering variety and adaptability. Beyond these constraints, the two illustrators had broad latitude to design the architecture that would be shown in the renderings. Both drew on their unique combinations of backgrounds to offer their own interpretation of the future of space occupation. 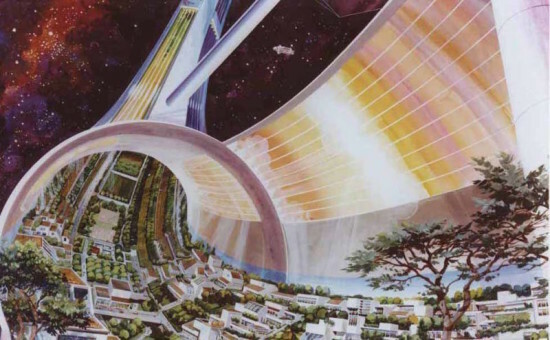 Davis was originally an illustrator for planetary scientists like Carl Sagan, and had also worked on book covers for science fiction novels like Larry Niven’s Ringworld of 1970, depicting a habitat design concept not unlike the “Stanford Torus” sketched by O’Neill’s team. Davis focused on the landscape, and the challenges of creating planetary ecosystems within small closed worlds. Human inhabitation, in Davis’s paintings, touches the artificial ground lightly. To depict it, Davis drew on his fondness for Buckminster Fuller’s domes and other self-built architecture like the “Zomes” made by Steve Baer at the famous Drop City commune. Davis would have been familiar with this work as a reader of Brand’s Whole Earth Catalog, which included Baer’s “Zome Primer,” an instruction manual for building these structures out of repurposed car hoods. Other buildings painted by Davis are more reminiscent of the kind of Googie architecture related to an earlier generation of pop science fiction painters like Frank R. Paul. In an interview, Davis also admitted he would go to the library and read copies of Progressive Architecture magazine for inspiration. 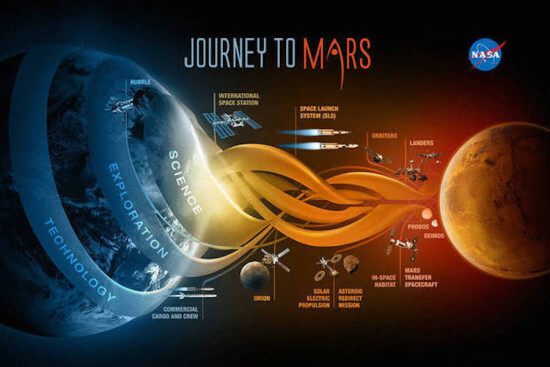 Guidice, on the other hand, had been trained as an architect, and had made the shift from there to commercial illustration and work promoting space exploration and aviation concepts for NASA. Guidice’s paintings take the kit-of-parts concepts from work like Moshe Safdie’s Habitat 67, and remix them to create even more individuality. Reyner Banham wrote about the concept of the “Terrassenhaus,” the scheme of terracing trays that megastructural projects use to shape space, in his book Megastructure: Urban Futures of the Recent Past. Safdie used the resulting platforms as the basis for his notion of “for everyone, a garden,” combining high-rise density with a suburban Garden City ethos. In Guidice’s renderings the friendly modernist Garden Cities like Columbia, outside Baltimore, take their comfortable combination of vernacular and contemporary into new high-density suburbs in space. These speculations strike a compromised balance between the displacing conditions in space—like the unfamiliar inverted horizon, the hostile environment outside, and the small size of the habitat—and the excitement inherent in exploring and making new worlds. The speculative contemporary architecture of the 1960s and ’70s—small-scale personal construction with sheet metal, and large-scale New Towns made of reinforced concrete—is put to use to show that space is for you. The two illustrators, acting as designers, show that the architecture of the future space city can be adapted to your lifestyle, whether you’re a dropout desert communalist, or a cosmopolitan terrace urbanite. Fred Scharmen teaches architecture and urban design at Morgan State University and is the author of the upcoming book Space Settlements. The purpose of the National Aeronautical Space Administration (NASA) was debated by congress last month. Congress agreed on the role NASA could potentially play in the future, contemplating the possibility of a hotel on the International Space Station (ISS) and and camp base on the moon. Despite the somewhat whimsical ideas being thrown about, the notion of re-aligning NASA's objectives was paramount. The race for the next frontier in space may have already started with Russian firm Orbital Technologies. That company has put forward the idea for a Commercial Space Station (CSS), though space get-away's wouldn't be cheap. Travel costs are estimated to begin at $800,000 with another $160,000 piled on for your stay. The space hotel concept relies solely on prefabricated components, a method successfully employed for the ISS. Architects and engineers, however, would be free from the earthly worries of damp-proofing, load bearing walls, vapor checks though envelope performance, and making sure the structure is sturdy. When a new addition is sent up to the ISS, it is primarily function-orientated with little attention given to its aesthetic qualities. For a commercial space station, this would likely change. The debate for moon camps in congress however, only arose as an idea to give astronauts six-month training prior to lengthier expeditions to Mars. Whether NASA plans to construct such a spectacle remains to be seen, though it appears the decision is out of their hands. With the recent discovery by NASA that water is flowing on Mars, the call for housing on on the red planet has never been more relevant. And right on time with the outpouring of interplanetary news, the "3D Printed Habitat Challenge for Mars" competition, sponsored by NASA and America Makes, has unveiled its winning designs. The competition attracted over 160 applicants including Foster + Partners and the European Space Agency. Triumphing above all was a joint submission by SEArch (Space Exploration Architecture) and Clouds AO (Clouds Architecture Office), an architecture and space research collective which was awarded $25,000 in the process. It's especially fitting since SEArch and Clouds AO's submission uses a "follow the water" approach to conceptualize, site, and construct the winning design. In the brief, participants were challenged with creating a livable space for a four-person crew utilizing materials available on the Martian planet with a 3D printing device. 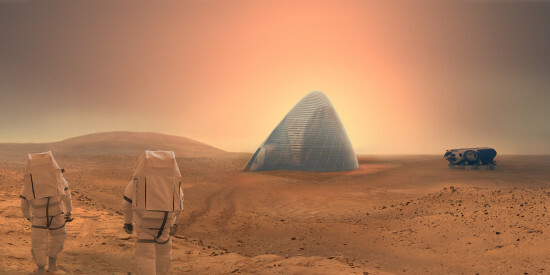 SEArch and Clouds AO said the so-called ICE HOUSE proposal seeks to capture light and bridge the connection with the harsh external landscape of Mars and human life. According to the judges, ICE HOUSE was notable for bucking the trend of creating an underground dwelling (a solution which the majority of applicants pursued). The proposal instead would make use of the anticipated abundance of surface ice, constructing a thin, yet sturdy 0.2 inch-wide ice shell structure, suitably protecting the four crew members. 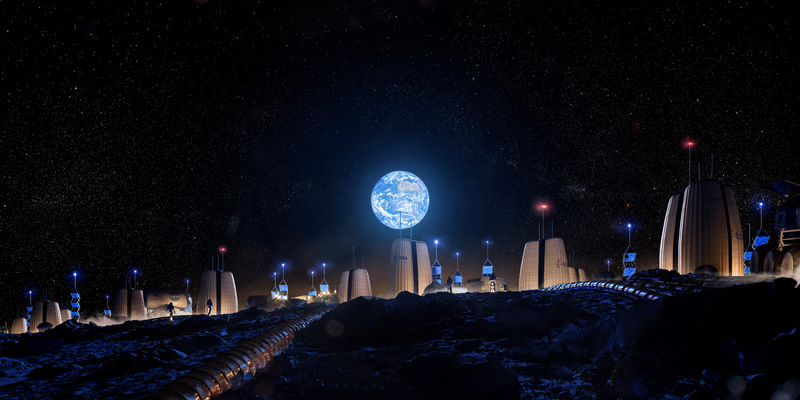 Such a feature would allow the inhabitants to gaze upon Mars' landscape in the safety of a dwelling while also saving energy by not using artificial lighting. Natural light is also expected to boost morale. During the research phase of the submission, the team of scientists, astrophysicists, geologists, structural and 3D printing engineers, and eight designers went through various testing procedures to ensure the durability and feasibility of the proposal. The extensive research they went to can be found on their website.